I'm running into an odd problem that I've never encountered before. On any of our Centos 7.3x or 7.4x after I do a yum update and restart the VM will eventually come back up, but hangs during the boot process and d-bus and login service fails so you cannot log into the via ssh post reboot. All of our centos VM's that are sub Centos 7.5 are exhibiting this behavior even between different minor kernel varients. 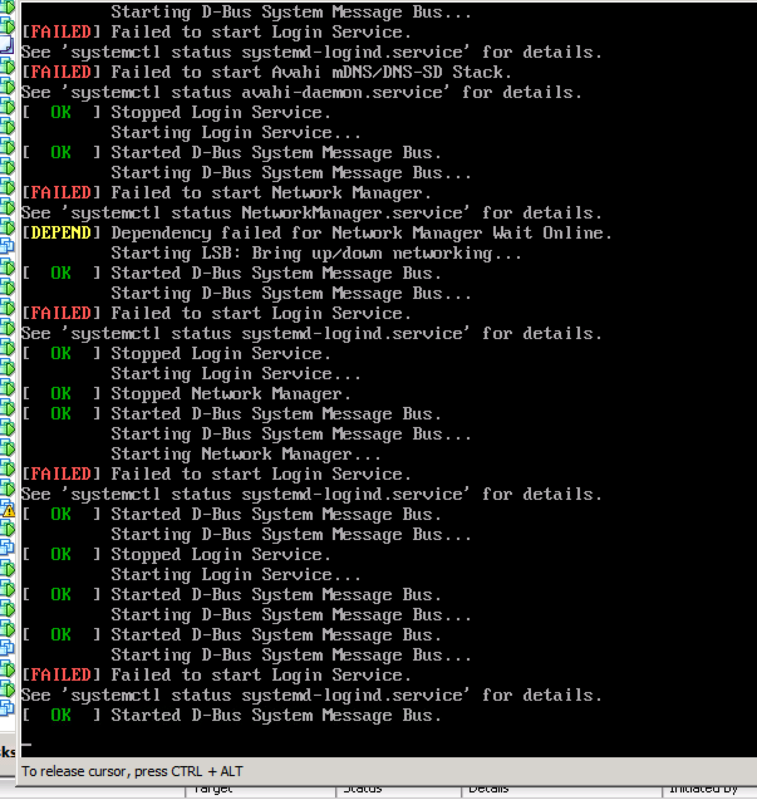 However any Centos VM that is above 7.5 has been able to update normally. On servers that have a problem I see the following screen below and they can take upwards of 30 minutes to get to the login screen and aren't very responsive when I attempt to login via vmsphere console. I never run into an issue like this before and checking systemctl status after I can get back into the VM didn't provide much information. Has anyone experienced this before or can point me in a direction for how to fix this? Most of these are production environments that I can't justify having offline for hours to troubleshoot, but I"m trying to avoid bringing up fresh machines and migrating services over if possible. Browse other questions tagged virtual-machines centos7 yum networkmanager dbus or ask your own question. Linux Load Average in Billions with Thread Count Only in Thousands? Need to Rebuild Kernel Modules After Kernel Upgrade?